gardening in the boroughs of nyc: My First Bell and 100th Post Giveaway! I was so extremely excited to pick our first green bell pepper! It's a beauty! It's funny, I don't even like green peppers but the hubs loves them. I only like the sweeter bells, red, orange, yellow. We have red and orange bells growing too, but they aren't ready yet. Anyone know how long it takes to turn color? It's also my 100th Post! In celebration of my 100th post, I'm having a little giveaway. 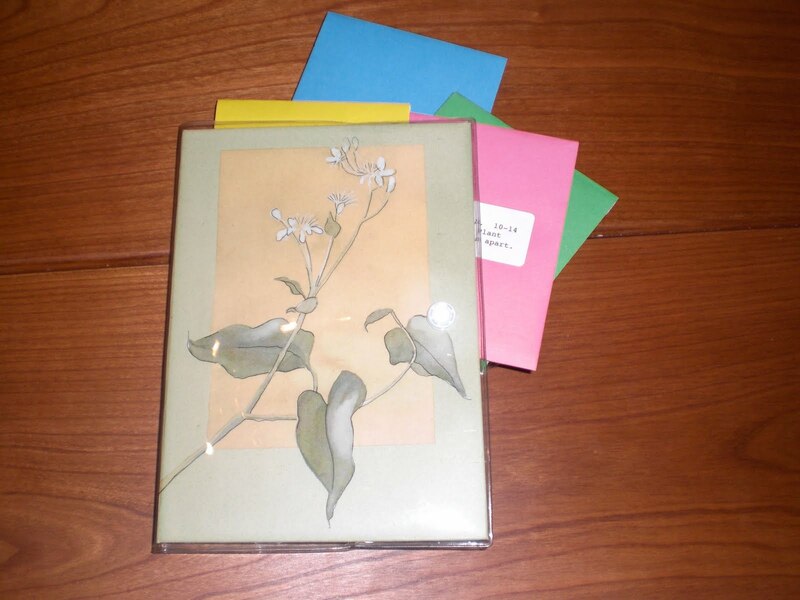 The prize is an assortment of seeds, and a Sierra Club notebook, it's a great garden journal to keep track of your garden. All you need to do is comment below and I'll choose a random winner. It's that simple! Enter by August 25th 11:59pm EST. meems, from what I've read, the colored bell peppers can take 2-3 weeks to ripen to their intended colors. The actual time depends on your specific variety - apparently there are hybrids bred specifically to speed up the ripening process, because many people want their colored peppers fast. As you probably know, most bell peppers start out green, and you can pick them at any stage to eat. But if you only like the sweeter ones, then you'll definitely have to wait until they are fully mature to enjoy them at red, orange, or yellow! Congrats on your 100th post! My, you're a prolific blogger! Congrats on the pepper and the 100th post - well done! Congratulations on post #100, and on the beautiful pepper. I'm with you, I love them after they've colored up and turned sweet. Congrats on the pepper! I only got a few teeny tiny ones from my garden and then the plant stopped producing. Boo! Congrats on 100 posts too. Cool pepper. I haven't had any success with bells... yet. Congrats on your blogging milestone. 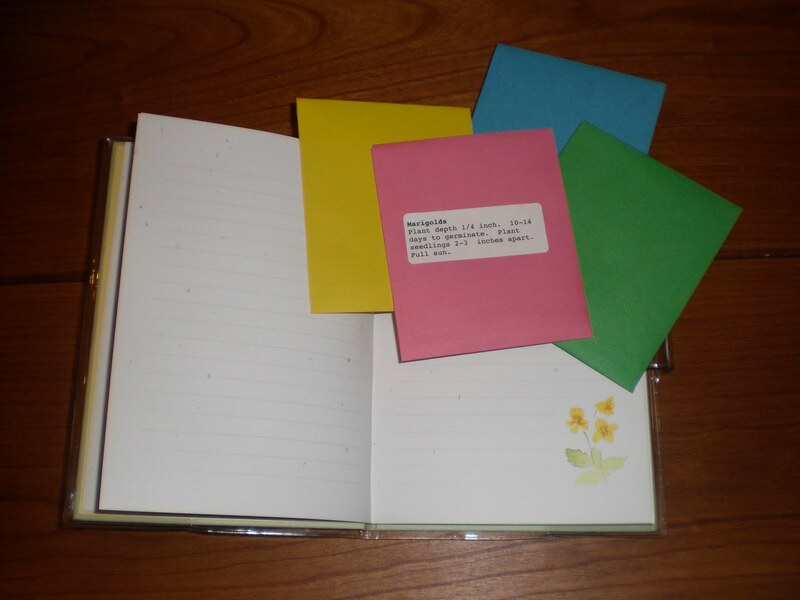 Are the seeds from your own garden? A great milestone! Here's to many more! I was going to wait until my bell peppers turned red to pick them but it's been WEEKS now. So I decided to pick them this week green. I'd rather have my plants work on producing a second crop of green peppers later on this fall than just 1 crop of red for the year. Awesome pepper, and congrats on the 100th post! I was planning to do a 100th post give away as well! I'm close, oh, so close! :) Thanks for sharing! Congrats on your first bell pepper. I'm with you when it comes to peppers. I like the reds and yellows more than the green ones. Congrats on 100 posts as well! I've been meaning to start following your blog for a while now, but my browser at work is outdated and the follow button doesn't work :( Who woulda thought the day that I finally get to follow you would be your 100th post! It's like it was meant to be! haha! I haven't counted exactly, but I agree with the others, WEEKS! I have some that are half-red and have been that way for over a week. It seems like the only full red ones I have picked are the ones hidden that I didn't see develop LOL! I'm ready to wrap up this whole summer garden mess, so I will be freezing a lot of green ones! Meems! Congrats on the awesome pepper. The size is perfect. Mine were miniature because of our wet weather. See all of your dry hot weather helped with something. Your peppers! Beautiful green pepper and congratulations on your 100th post. I find (like tomatoes) that once you start getting a ripe pepper then it triggers other fruit on the bush and nearby bushes to ripen as well. I believe it is the ethylene gas that is given off by the ripe fruit that actually triggers the ripening. 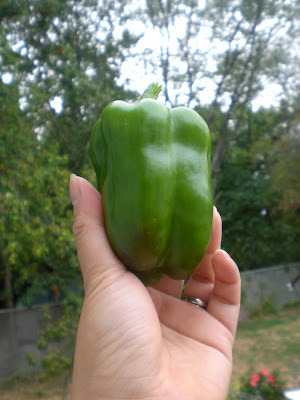 I try to leave at least a few big peppers onthe vine to ripen but then harvest a few green to use immediately. Once the ripe ones start coming the rest follow quickly afterwards. I like green sweet peppers but adore roasted red ones even better. I don't like bell's either. Congrats on getting your 1st one! I laughed out loud when I read "I don't even like green peppers" because I do that all the time! It's so funny how invested I get in foods I don't really care for just because I'm growing them! Congratulations on your harvest. My peppers are not growing this year, don't know why. Congrats on your 100th! Didn't take you long! You're as prolific a poster as you are a gardener- I love it! Congrats on the 100th post!! The Bell looks great. Keep up the good work! Congrats on your 100th, and thanks for the contest. I love bell peppers. If there was only one thing I could grow, it would be the bells. I've read that the plant shuts down when the peppers are left to fully mature, so I'll usually pick them before they mature. This year will be the first time I've decided to not pick any more until they turn colors. I lucked up on some huge yellow bells at the store yesterday 3/$1. congrats on both pepper and 100th post! I'm really enjoying your blog! You made me go back and look at how many I posted. Only 43.
congratulations. i love that pepper. It looks like mine but I only had two on the plant. No patience to wait for it to turn. Congrats on both the pepper and the 100th post. I love reaching blogging goals. Like how you helped me get to 50 Followers.